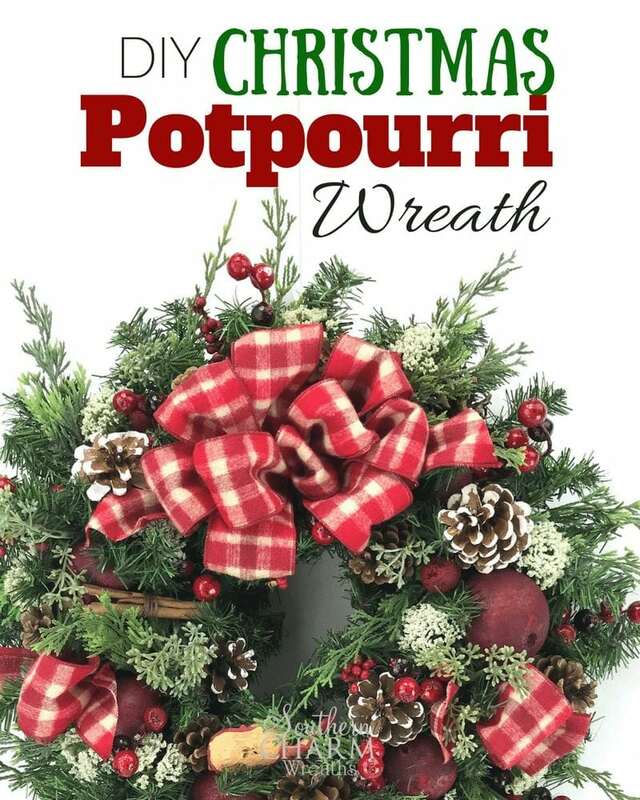 Check out this DIY Christmas Potpourri Wreath! Scroll down to the bottom to watch the video. First, fluff your wreath as it can become very flat from shipping or being stacked in the stores. For this project, we’re going to start with the bow. I used a red plaid wired ribbon but you can use any ribbon you like. 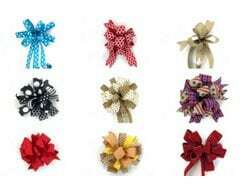 For detailed bow making instructions, click here. I used 8 inch and 10 inch loops for my bow. Note: I don’t always start with a bow for my projects but I do start with whatever the largest element will be. 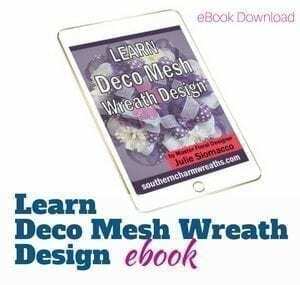 Attach your bow to the wreath frame using wire or pipe cleaners. Begin adding pieces of greenery. I cut pieces from an evergreen garland for mine. Simply cut a piece, add hot glue to the stem and then insert into the wreath. Continue adding greenery until your wreath looks full. 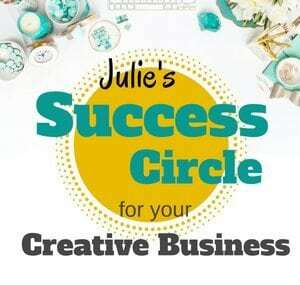 I like to work from the outer ring of the wreath to the inside, inserting the greenery in the same direction. 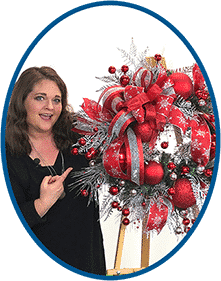 If you would like to add additional ribbon to your wreath, now is a great time to do so. I made some simple small loops with ribbon and tucked them throughout the wreath, securing by twisting pieces of the wreath around it. Now it’s time to begin adding the potpourri. For this project, you really want to use potpourri that has some large pieces / fruit etc. I began with pieces that looked like pomegranates and attached using hot glue directly on the base of the fruit. Note: If you add some to one side, add some to the other side to keep the wreath balanced. For example, I put a large piece of potpourri on one side and two smaller to mirror it on the other side of the wreath. Continue adding potpourri fruit pieces throughout the wreath. I used approximately 6 of the pieces that look like pomegranates first and then worked down in size, moving to the pinecones next. To secure the pinecones easily, add a bit of wire around the base of the pinecone and attach to your wreath base. For smaller pinecones, you could also secure by adding a bit of hot glue to the base. My potpourri included apple pieces and some small pieces the size of walnuts plus cinnamon sticks. Add the rest of your potpourri elements from the largest pieces to the smallest. Hot glue those elements in to your wreath, grouping smaller ones for more impact. For a pop of color, add red artificial berries by hot gluing them throughout your wreath. To lighten and brighten the wreath, I added bits of Queen Anne’s Lace as well. Adhere it to the wreath by adding a bit of hot glue to the stem. Lastly, add a few more bits of the greenery to fill in empty areas and add more texture as needed. I hope you enjoyed this beautiful smelling wreath! This would be perfect for an entryway, front door, or over a mantle. Plus this is so easy and fun to make, you might want to make one for a friend or neighbor too!